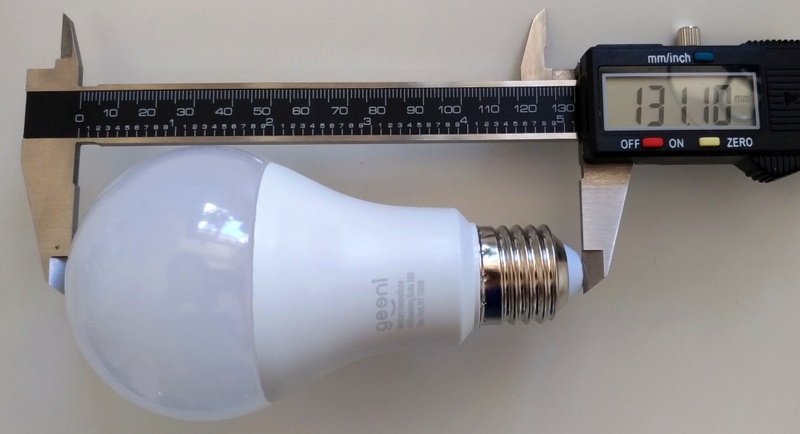 The Geeni light bulbs comes in several models, which all have different capabilities and maximum brightness. You can see the complete range of available models here. 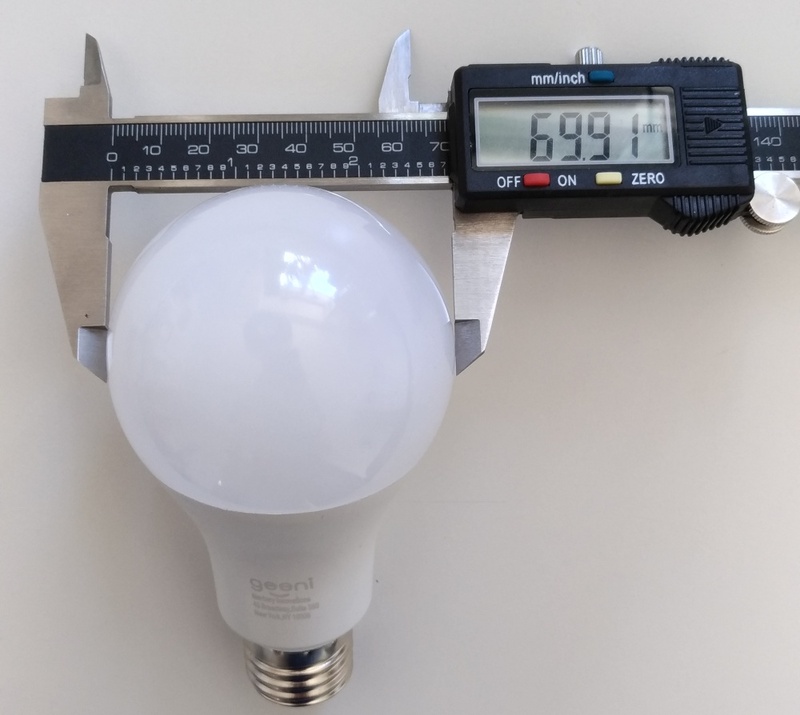 The numbers 450, 800, 1050 indicates how much light the smart bulb can emit. If you have a big room to light, choose a higher value of Lumens. Do you want to change color temperature? 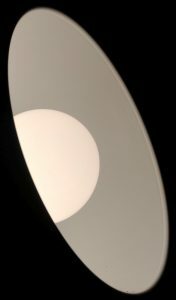 The models with “Adjustable white” or “Adjustable bright white” allows you to change the white light towards a warmer or cooler tone. Finally, if you want to be able to change the light to any color, you should go with a model that mentions “Color”. 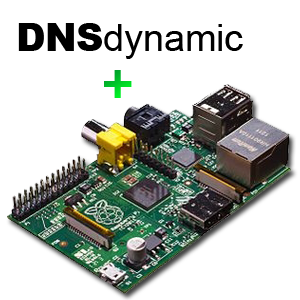 This allows you to set the color of the light to almost any RGB color. Just be aware that at the time of this review, you cannot get both adjustable white color temperature and configurable colors in the same smart light. So choose wisely, depending on your home automation needs. 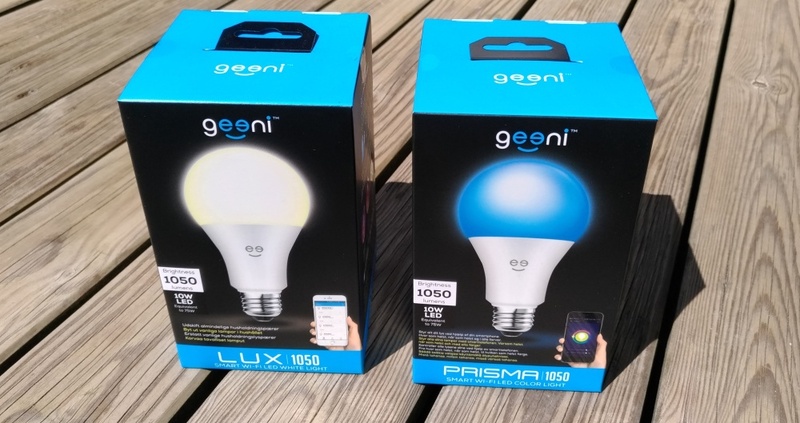 In this review, the Geeni PRISMA 1050 and the Geeni LUX 1050 has been tested. 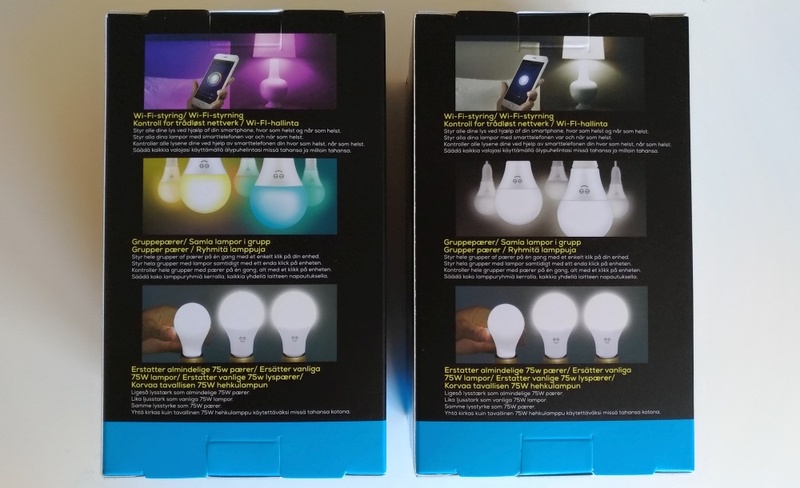 The Geeni smart light comes in a small informative box, with minimal but useful instructions inside. The bulb itself feels sturdy and is well protected in the small box, so don’t worry about any damage during shipping from an online store. Fitting into a standard E27 light bulb socket, both smart lights should be compatible with most standard lamps. I noticed that the Geeni bulbs are a bit larger than some of the other bulbs i had lying around, but to be fair, the Geeni bulbs also has way more Lumens worth of light intensity. Whether the Geeni models with lower Lumens values than 1050 are also physically smaller, I cannot say, as I have only tested the 1050 models. As you can see on these pictures, the Geeni PRISMA 1050 and the Geeni LUX 1050 measures 70mm in diameter, and 131mm in total height. While making sure that the light is flashing rapidly, follow the guide on the app to add a new light. Once the smart light is configured, you can control it from the app, or set up home third party home assistants, as explained later in this review. While very simple, the Geeni app is straightforward and easy to use. You get an overview off all of your lights, and can tap each one to adjust it. Brightness is adjusted using a slider, and color by tapping a color wheel, as shown on the below screenshots. You can set a schedule for each light or group, to have them automatically turn on and off at set times. You cannot schedule color changes or brightness adjustments. The smart lights are very quick to react on any input in the app, and you can even group the lights and control them as a collective room or the entire home at once. A huge advantage is that control happens through a web service, and not directly over wifi. This means that after the initial setup of a Geeni smart light, you do not need to be on the same wifi as the bulb, to control it. 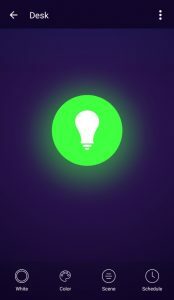 As long as the smart light is connected to your wifi with internet access, you can use the Geeni app to control it from anywhere in the world (as long as you have internet access). This allows you to turn off the lights from the office, of you forgot to do so in the morning, or turn on the lights in advance if you arrive home late. Another great feature of the Geeni app, is the ability to share light controls with friends. If you are the only one with the app to control the lights, there is no way the rest of the family will like this new smart home device. Fortunately, anyone can install the Geeni app on their smartphone or tablet, and you can grant them access to control specific smart lights. This way, both family and friends can control the smart lights. Finally, the Geeni app allows the use of “scenes”. This allows you to configure lights to automatically blink in all colors, or to configure actions based on triggered events. While Geeni has no smart home sensors (yet), you can use temperature, humidity, sunup/down and more triggers, based on your location. This allows you to configure scenes that for instance changes the lights to blue when it rains, or adjusts the warmth of the lights at sundown. Plenty of room for creativity here. Once configured in the Geeni app, the smart lights are ready to be adopted by your home assistant. The Geeni smart lights support both Amazon’s Alexa, and Google home. Now in the Alexa app go to “smart home” in the main menu, and select “add device”, while on the same wifi as the Geeni smart light. The lights show up and can be added directly to Alexa (make sure it is turned on before adding it). 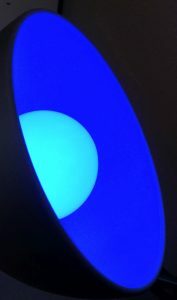 Once added, you can control your Geeni smart lights with your voice, through Alexa. Depending on whether you have the Geeni LUX or Geeni PRISMA model, you have different control options. All in all, quite an easy way to get fully controllable smart lights into your smart home. In the Google Home app, choose “Home Control” from the top left menu. Here you can add devices by clicking on the + in the corner of the screen. Simply search for the Geeni app and link your Geeni account to your Google Home app. This way you will get all the Geeni smart lights in your account added to Google Home for easy control. Google will ask you to assign each bulb to a “room”, allowing you to simultaniously control all smart lights in a given room with just one command. While i experienced slightly more delay from ending a voice command until the lights changed, the Google Home controls works just as well as with Amazon Alexa. Even the commands you can use for different colors seems to be very similar. An important note is that you can actually control the lights through all of the available integrations seamlessly, without having to disconnect one before using the other. 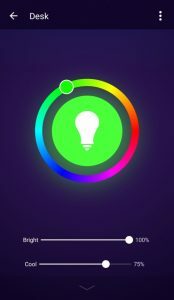 Thus, I could use the app to set the Geeni smart lights to white, then ask Alexa to dim the light to 50%, and immediately ask Google to turn off the light. Not having to choose one single integration, allows more flexibility in the smart home setup. The Geeni smart lights are a great alternative to more expensive smart lights, without lacking anything in terms of functionality. You don’t even need to invest in a hub to connect your devices, but can use the home wifi you already have. As an entry point for someone looking to get started with home automation, the Geeni smart lights is a great place to begin. While very advanced users may want more ways to integrate (may arrive at a later point), the average user will have plenty of integration options in Amazon Alexa and Google Home. The lights are very bright at maximum setting, and can easily light up a room with white light. However, when changing to colored light, the maximum brightness seems significantly less powerfull, and will not be able to light up as much as the white light. While still being fairly bright, the slightly lower brightness for colored light does not seem like a dealbreaker. The app is well polished and useful, with great features like friend access and online control. To get the full smart home experience, it is highly recommended to use the Geeni smart lights in combination with Amazon Alexa or Google Home. Both assistant are well integrated with the smart light functionality, allowing you to manage your lights completely by voice. Cannot be dimmed with an external dimmer. Only through app. The Geeni PRISMA and Geeni Lux seems like very decent additions to any smart home, and I will be looking forward to any more releases of smart home products from Geeni. Test samples have been provided for the purpose of this review. By Mikkel at August 16, 2018 .